Preparing for college—yikes. Between finding a school that fits, applying for college, waiting for acceptance letters, and paying for it all … well, it’s nerve-racking. But before you have a meltdown amid the heat of a senior year in high school spent finding the perfect university, we have a story to tell. We think it might take some of the edge off your slow burn. This is the ongoing story of how one of our own staff families at TheBestSchools.org walked through the steps of getting their son into college. I’m Dan Edelen, marketing director of TheBestSchools.org. My son, Ethan, and I will be sharing a real-time story of what we experienced as he walked through the college admission process — during his senior year in high school. My wife, Danei, may add her thoughts too. While this is our story, it’s not far from what most any family will experience when preapring for that big leap into higher education, those ivy-covered university walls, and what looks from here like a crazy maze of college visits, admissions paperwork, bank statements, and college marketing-speak. Over the course of the next several months, we will journal our experiences to help you get an idea of what it’s like to prepare to go to college. We’ll do some things right, and I’m sure a few things wrong. Because this is a family effort, Ethan will share from a student perspective, and I’ll add the parental view. Let’s start with one of the first tasks of any college search, locating a suitable college to attend. And that means college visits. ETHAN: I’ll admit that college crept up on me. 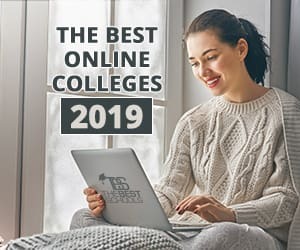 For a long time, I knew college was my future, as my academic aptitude is certainly enough to handle it, but for a long time I didn’t know much about the college search process and all the work surrounding it. College still felt distant when I started my freshman year of high school; I was more concerned with keeping my grades up in this new environment than I was worrying about something that was three or four years away. Now that I’m a senior, college is a pressing issue. Luckily for me, my parents and my teachers were more than willing to help me understand the preparations needed for college and to deal with them. Still, college was in the distance then, but now it’s on my doorstep. A lot can happen during this period of someone’s life, and it’s easy to lose track of college matters in the rush. DAN: Ethan may have been lost in thought, but I knew what we had to do: schedule visits. Nothing beats being on campus. It’s the only way to get a feel for a school’s size, upkeep, vibe, general friendliness, and nearness to local businesses. Visiting toward the end of the spring semester or beginning of fall will better ensure access to classes, students, staff, and faculty. Most people travel more in summer, though, so if your vacation plans make visiting campuses easier then, just know the feel of campus will be different, and it may be harder to secure appointments with VIPs, such as department heads. To schedule a hosted tour, either call the admissions office or check its site online to arrange it yourself. Be forewarned: spots fill up fast. We coordinated some of our visits around a trip to see family. Other families we’ve spoken with modified vacation plans to hit as many targeted schools in a state while visiting notable attractions. Want to enroll in Duke, NC State, or UNC Chapel Hill? Guess what? You may be vacationing in North Carolina this summer. Bet you didn’t know you would be visiting the spot where the Wright Brothers first flew. As for us, in-state tuition discounts are a factor, so Ohio schools top our list. ETHAN: So far, I’ve visited three colleges: Miami University of Ohio, Kenyon College, and Case Western Reserve University (Note: We later visted Hillsdale and University of Cincinnati too). Each of my visits was wildly different from the other, and each college seemed to offer surprisingly distinct experiences. When it comes down to it, the differences between colleges can be astronomical! Each school had different accommodations, academic focus, and atmosphere. One thing that has made my college search difficult is that I’m a jack-of-all-trades. No school course has defined me. My interests contrast: I like both English and engineering, for example. I enjoy gaming, and while that field interests me, it feels like a pipe dream. So, I remain undecided about a single interest to pursue. That’s why the colleges in my search offer such different programs. DAN: Ethan aced the ACT test and is one of the top students at his rural school. So, his options are more open. But when you’re young, don’t know what to do, and potential exists everywhere, it complicates narrowing choices. If you’re unsure about which schools to attend or for which major, I would pick three or four schools to visit that are either within driving distance of your house or will be near a vacation spot. Get a feel for the college. Some schools with appeal may always be hard to visit before application deadlines descend. You may have to visit after acceptance and before you finally decide. But if a school accepts your student, and it remains a strong choice, DO go before your student ships out! ETHAN: The first college I visited was Miami University. Unlike later visits, I came only to visit a specific department instead of touring the entire campus, so I didn’t get to walk as much of its campus as the others. My primary department of interest was the Armstrong Institute for Interactive Media Studies. My parents and I were able to meet the director, Dr. Glenn Platt, and sit down with him for a lengthy chat. Talking with its department head, Dr. Platt, was an interesting experience, as he knew a lot about the ins and outs of the field, including experience with the video game company Blizzard Entertainment; how the Miami program pulled in faculty from all over the college; its ranking as #3 in the country for interactive media at a public college; resident development studies in the Bay Area; and even how well the eSports team at Miami had done that year, finishing first nationally in Overwatch. Having built the department into a national leader, he certainly seemed like he knew what he was doing, which helped reassure me. Overall, I liked the idea of the Interactive Media degree that Miami offered; it’s a growing field, offers flexible courses covering storytelling, character design, and digital asset creation, all of which have applications beyond game design. As we were leaving, we got to check out the Armstrong Institute. The learning spaces were remarkably nice, and they had plenty of interesting technology, especially tech pertaining to virtual reality. All in all, I enjoyed my visit to Miami, but I still have questions about Interactive Media. A field like that wouldn’t be without its ups and downs. Dr. Platt did not hold back that many people are vying for few openings in the gaming industry, and the field is tough on people. So, I still have to answer that omnipresent question: would I be able to find a job that suits me? DAN: We visited Miami before spring classes let out. Getting the opportunity to talk to an experienced student in a target discipline or to a senior professor or department head is a wonderful opportunity. When planning your visit, see if you can plan that kind of interview and come prepared with good questions. We were impressed with Dr. Platt’s candor regarding both the excellence of his program and the limited number of exceptional jobs available in this tight field. He was forthright about prospects being mostly outside of the gaming industry. That said, his is a stellar and notable program, and having it at a public college nearby is a real blessing. ETHAN: It took me a few months before I visited a college again. This time my target was Kenyon College in Gambier, Ohio. When my parents and I arrived, it was a model summer day, which made walking around the college enjoyable. It didn’t take long to get to the admissions office, and the lady at the desk greeted us warmly. That kind of attitude is one of Kenyon’s hallmarks: everyone was polite, accommodating, and most importantly, personal. We had an appointment for later in the day, but Kenyon’s staff were able to match us with a tour group no problem. As the guide—a grad student in English, one of the college’s strong suits—showed us around, he pointed out the many campus artworks, but I most remember the picturesque, tree-lined, rural college campus and the campus media facilities, such as The Kenyon Review literary journal, and the on-campus radio station that allowed students the freedom to air their projects. After the tour, I interviewed at Kenyon, with a Kenyon’s alumna asking me about my high school’s classes and extracurriculars, my interests, and past writings and artwork. I enjoyed our casual conversation. At the end of the trip, we visited The Kenyon Review building and spoke with the editors. We also toured the art school, and it was interesting to see the artwork that Kenyon students had made. After the tour, as we were driving away, I thought back to the art I had seen. Kenyon encourages artistic expression, and while that is appealing, I don’t know how valuable artistic expression is in the marketplace today. Writing is something that has served me well, and Kenyon can hone my writing skills, but is that enough to land me the right job? DAN: Ethan has outstanding writing and storytelling skills, so it’s natural to visit not only one of the most respected private colleges in Ohio but one with an international reputation for literature. E.L. Doctorow ( Ragtime , Billy Bathgate ), John Green ( The Fault in Our Stars ) and Bill Watterson ( Calvin & Hobbes ) are grads, and what some call the greatest commencement speech ever, David Foster Wallace’s “This Is Water,” was delivered there. The school also publishes the literary magazine. That kind of history informs the present. Take care to note such things in your visits. We soaked up that writerly vibe because the students who led our tours were a grad and an undergrad in writing. This gave us an opportunity to talk about that program. Take that chance if you get it! Or make it happen. Ask to talk with students in the target discipline, even during the summer. That connection allowed us to talk with the editors at The Kenyon Review , an opportunity not everyone got. While Kenyon has a picture-postcard campus in a tucked-away rural town in mid-Ohio, it attracts a majority of students from New York and California, and they bring a cool, coastal sophistication to campus. Keep student demographics in mind! What you imagine a college to be depends in part on the students it attracts. The ratio of grad students and undergrads also colors the campus feel. Does your student's lifestyle mesh with those of other students? Or do you get a feeling that he or she might be a square peg in a round hole? Something to think about. The staff at Kenyon dropped much of what they were doing to meet with us because we arrived earlier than we anticipated. Keep in mind how staff adjust to you during a visit, because this may foretell how accommodating they will be with your student. That can be a huge plus—or minus—only a campus visit can illumine. ETHAN: I visited Case Western Reserve University the day after I visited Kenyon, the brevity emphasizing how different the two colleges are. Unlike Kenyon, Case is an urban school smack-dab in the middle of Cleveland, Ohio, that specializes in practical and technical fields such as medicine, law, science, and engineering. This time, we didn’t meet with a director or get the kind of intimate, personal tour we enjoyed at Kenyon; Case was dealing with large groups of people at once, so we got a slideshow dedicated to showing us what Case and Cleveland offered. This included alumni successes, business partnerships, and the night life of the city, including a strong theater district and winnings sports teams—the Browns not included. In between that slideshow and the next, my dad pointed out that many of the Case students hosting the visit were double majors—and often in unusual pairings such as bioengineering/dance and environmental law/chemistry. DAN: In the film The Incredibles, the villain Syndrome delivers the line, “With everyone super, no one will be.” And while this is a downer, it’s true about colleges. Your college visit may make it clear that your superhero student is joining the Avengers and from here, he’s looking more like Hawkeye than the Hulk. The flipside is finding one’s home away from home. Can your student make friends here? Will being average be good enough when the school is notable, tough, and filled with superheroes? Then again, aren’t those the kind of alumni you want in your network? I bet Hawkeye feels a lot safer with the Hulk guarding his back. Visiting Kenyon was a personal, loose, flexible affair. Everything at Case was structured. Pick up on that, as it says something about the school and which mentality works best for your student. ETHAN: After a slideshow on financial aid—Case is not cheap—we toured the campus with one of a large team of student tour guides. The campus was just as nice as Kenyon, but its modern glass-and-steel designs were a stark contrast to Kenyon’s brick and stone buildings. The campus itself was nestled among many notable locations, such as the Cleveland Clinic, the art and natural history museums, the symphony orchestra hall, and a gorgeous park. The education facilities were impressive too. To finish the visit, we stopped off at Case’s amazing, and publicly accessible, ThinkBOX makerspace, which had an impressive array of equipment designed for manufacturing just about anything you could want, including laser engraving, embroidery, 3D printers, milling machines—the works. It was one of the most entertaining parts of the tour. DAN: What are the one or two “whizbang” things on campus? See if you can visit them, as they may be the one part of the tour that connects most with your student and with you. ThinkBOX was impressive, and Ethan talked about it for days afterward, which gave us insights about him and about his future direction that we didn’t have before visiting. Use an opportunity for the unfamiliar to see what resonates with your student. But do know that the unusual is often hardest to see or plan for. We had to finagle our way into the ThinkBOX tour because we were not even aware of this whizbang program before arriving on campus. Also, what does a student do when not student-ing? Museums, orchestra halls, parks, restaurants, churches, and even hospitals surrounded the school. Is tranquil nature or vibrant culture more appealing to your student? And does it come with a price? Case had a perfect location for culture, but traffic, ambulance sirens, and helicopters flying patients to medical centers that bordered the campus meant our walk around its perimeter involved a lot of shouting to be heard. ETHAN: Following my tour of Case Western Reserve, I felt like it was a fine school, well equipped to give its students both education and practical experience, but I don’t know if it would be the perfect fit for me. I don’t think I would have a hard time succeeding after going to Case, but I don’t know if the fields it excels in align with my passions. ETHAN: In the end, after my visits, I’m still on the fence. Finding a college to go to is a step toward a career path, which can determine the course of your life. Miami, Kenyon, and Case Western all have their strengths and weaknesses, which will change how their education shapes you. A lot of people my age have already planned their futures, knowing exactly what they want to do and where they want to go, but I haven’t. I just want to find someplace that’s a good fit for me, a college that will put me on the road to a successful, fulfilling career. To all of you out there starting your college search, or who are already in the thick of it, I wish you good luck, and I hope that my experiences will do you some good on your journey. DAN: The tough part of any school visit for a parent is stepping back afterward and confessing, “I loved ________ College,” while your child shakes his or her head no. But then they adore that other place that left you with heartburn and thoughts of an empty wallet. In the end, your student needs to go where your student will find the best balance of academics, friendships (both in the moment and for a lifetime), resonant environment, further graduate education, future job potential, and—as the French say— that certain je ne sais quoi. Your job? Be the best sounding board you can be. Talk to your kids at length about every like and dislike from the visit. Food options, dorm rooms, nightlife, noise, space, class size, cost, student demographics, and so on. Talk it all out. Listen. Counter. Suggest. Ask more questions. If you’re driving, turn everything off and talk about expectations. Get your younger kids involved too, because younger kids can see through BS like no one else, and the data dump from a college visit often comes loaded with it. An older sibling's visit may also help set the stage for their future college decision. Most of all, remember these visits may be among the last chances you get to travel with your son or daughter before college comes for real. Take advantage of that opportunity to be good to your family as a whole before the nest empties for good.